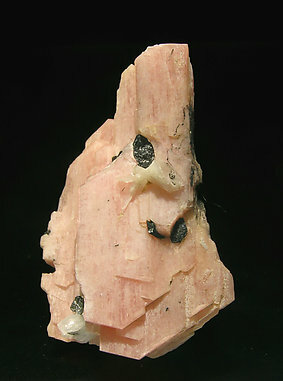 Group of very sharp little crystals with Quartz and a prismatic crystal of Aegirine, well finished in one of its terminations. 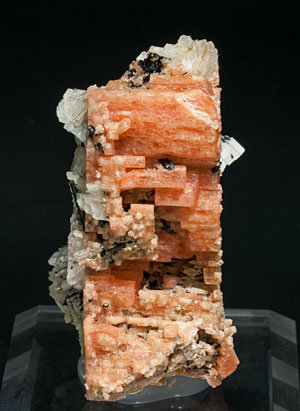 Parallel growth of Serandite crystals with very well defined faces and edges and an intense color. They are implanted on a matrix of laminar Albite and have thin black Aegirine crystals scattered about. A group of sharp, flat, prismatic crystals of very well defined faces and edges and perfect terminations. 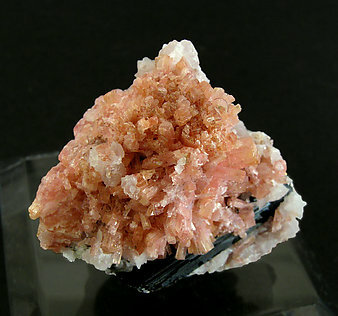 Serandite is with prismatic Aegirine and small yellowish-white prismatic crystals of Natrolite.